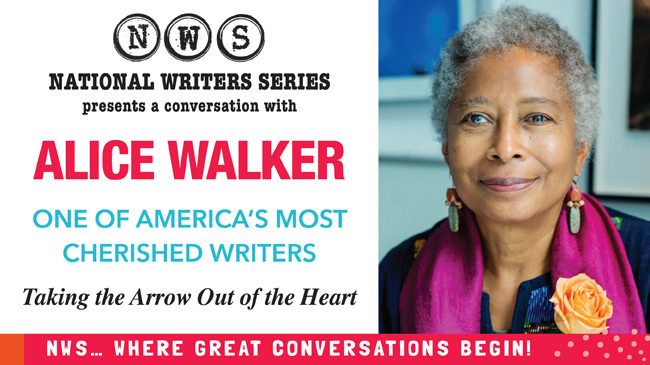 The National Writers Series' second round of author events for 2018 continues with the inimitable Alice Walker, discussing her book Taking the Arrow Out of the Heart. As the first African American woman to receive the Pulitzer Prize, Alice Walker has written works of the utmost cultural importance. Her novel, The Color Purple, was made into an Academy Award-nominated film and a Broadway musical. She’ll talk about her life and latest book, Taking the Arrow Out of the Heart, a stunning, bi-lingual poetry collection. We'll have signed copies right here at Brilliant Books, and you can get your tickets for the event just down the street at The City Opera House.